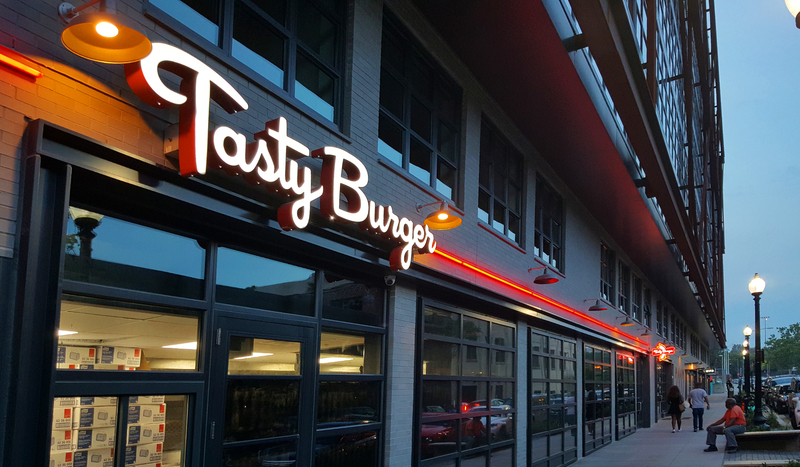 The award-winning Boston favorite, Tasty Burger, commissioned NDG for its first DC location at the new Atlantic Plumbing development in Shaw. 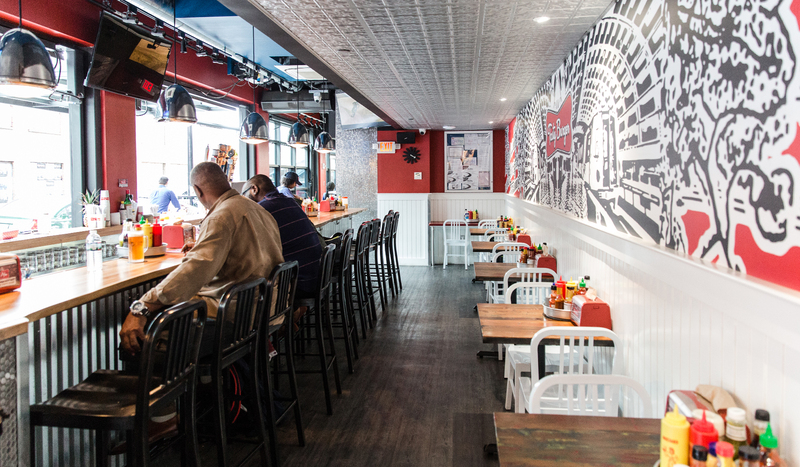 A distinctive long and narrow space with almost 90 linear feet of storefront posed many design challenges. 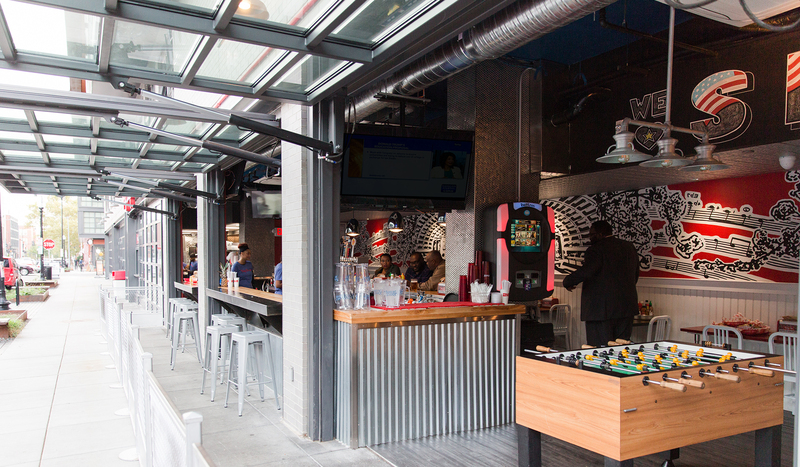 A series of operable storefront doors were utilized to create a two sided indoor-outdoor bar, and a locally influenced graffiti art mural covers the rear wall, visible from the street. 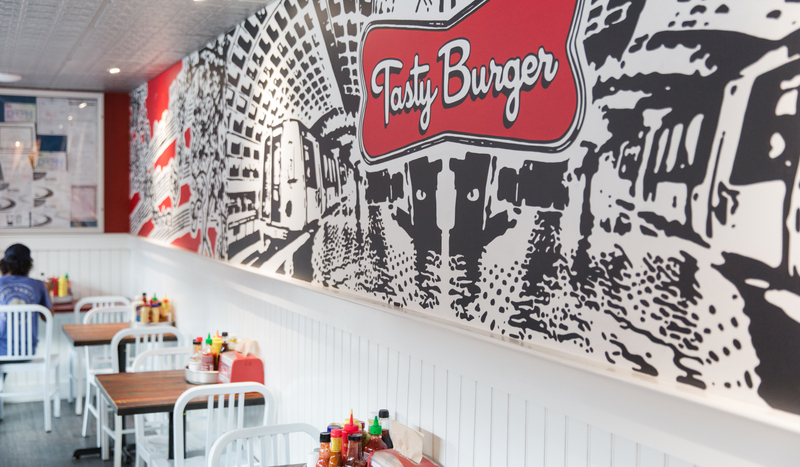 Penny tiling, a chalkboard menu wall, and vibrant red walls complete the signature Tasty look.